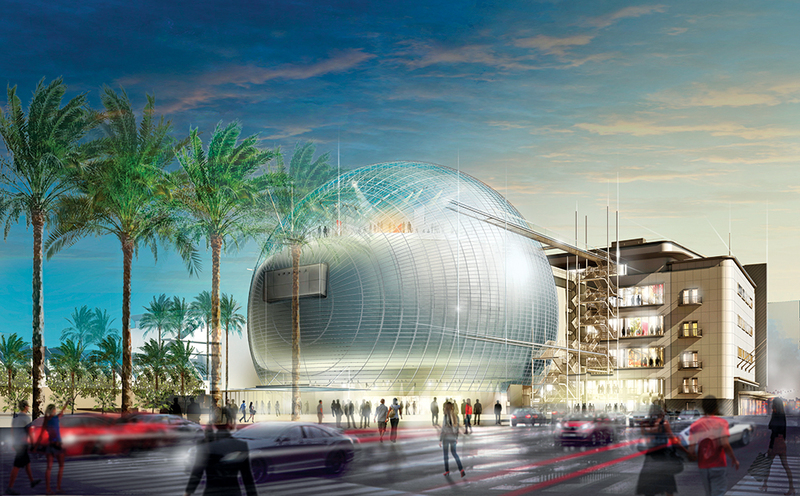 An artists rendering of the completed Academy Museum that will house the ASIFA-Hollywood Animation Archive. Photo courtesy of AMPAS. ASIFA-Hollywood has long been in a position to learn of endangered animation collections and for years amassed a storeroom and warehouse full of materials. By 2011 we recognized that our good intentions had created an untenable situation. Through introductions arranged by Tony Angellotti, ASIFA Executive Director, Frank Gladstone and ASIFA President, Jerry Beck approached the Academy of Motion Picture Arts and Sciences to partner with them in order to give their collection the curatorial attention it deserved. Initially, two things had to happen simultaneously: sorting the collection and moving it to the Academy facilities. To start, the Academy’s project archivist began to excavate our storeroom and, later, our warehoused materials, identifying, organizing and transferring items into archival boxes and folders, creating a rough spreadsheet inventory and meeting the Academy’s archive criteria. After nearly a year of work, the initial assessment was completed and the ASIFA collection is now stored, preserved, cataloged and managed at the Academy’s Margaret Herrick Library. As with all of the Academy’s collections, it will be available for exhibition at the museum. However, the collection is not yet accessible as an online resource. There is additional work to do before that happens, but once this phase is completed the “ASIFA-Hollywood Animation Archive at the Academy of Motion Picture Arts and Sciences” will be cataloged in the library’s online databases as well. Some of the materials ASIFA has gathered over the years, specifically advertising and television animation, does not fit within the Academy’s collecting strategy. Our second stage of work, therefore, will be to identify those components and work to find more appropriate repositories for them. This is a goal we are very excited and eager to achieve. ASIFA-Holywood continues to solicit, collect and preserve animation artifacts. If interested in donating materials to the archive, or simply to find out more about this endeavor, please contact us via email at info@asifa-hollywood.org.